Adam and Jamie host clips from the Duct Tape Island episode and answer viewer questions. Adam and Jamie host clips from previous duct tape stories and answer viewer questions. How many episodes of MythBusters have you seen? Face-Off: Walter White vs. "Breaking Bad"
Scientists investigate unusual events from pop culture, science and history. The nation's most talented kids have a chance to show off their amazing ingenuity and STEAM (Science, Technology, Engineering, Arts, and Math) skills. 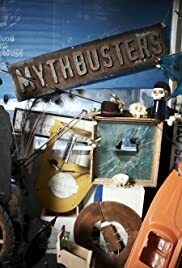 A reality competition show that aims to find the next stars to continue the popular MythBusters (2003) series. Jamie: Whoops! We should get out of here. That's mercury vapor. Q: Where is M5 Industries and can I go visit? Q: How did Jamie and Adam team up for this show? Q: Are Jamie and Adam friends? Mythbusters is one of my 'don't miss it' programs. I don't think I've ever seen quite the talent for destruction that Adam & Jamie share. Nearly every episode has to feature a myth involving things blowing up, or shattering into thousands of pieces. And I LOVE it! 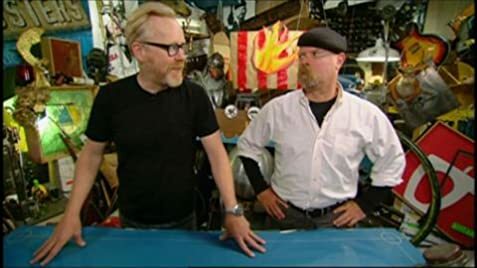 Their enjoyment for what they do, whether seen in Adam's nearly boundless enthusiasm, or in Jamies much more controlled attitude, along with the well-known & lesser-known myths that are proved or 'busted' each week make Mythbusters a winner. 61 of 70 people found this review helpful. Was this review helpful to you?